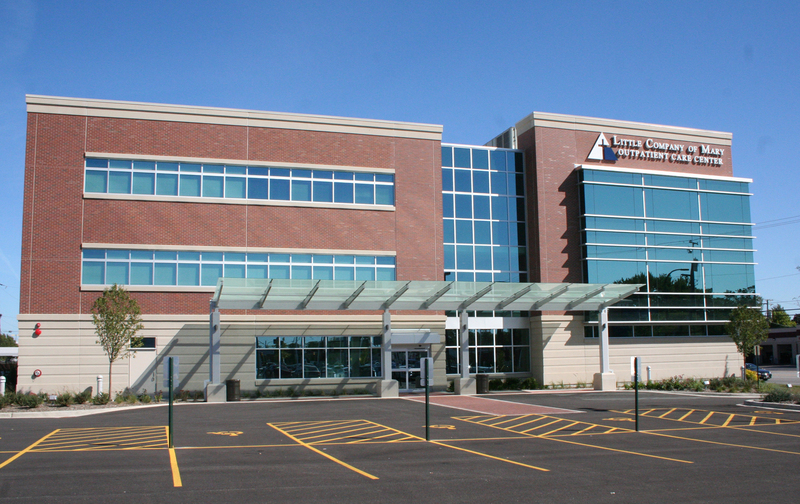 Lombard Architectural Precast Products Company was selected to provide the architectural precast wall panels for the new Centegra Hospital in Huntley, Illinois. There were a total of 623 pieces of precast concrete (for a total of 103,217 sf of panels). 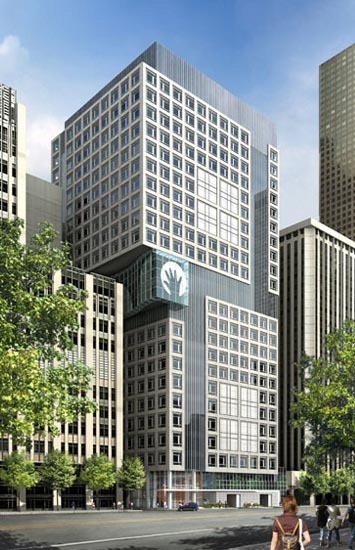 There were 207 acid etched panels (21,555 sf), 164 custom formliner panels (24,638 sf). 189 brick clad panels (44,566 sf), and 63 brick clad insulated panels (12,458sf). 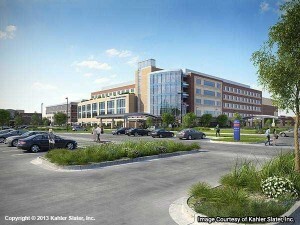 Centegra Health System’s new hospital in Huntley, Illinois, is set to open in 2016 with 128 beds, all-private patient rooms, both women and chest pain centers, a full-service emergency department, a level 2 trauma center, and a helipad for transporting critically ill patients. The $233 million facility will be Centegra’s fourth. The new hospital will be only the third built in the state over the past 33 years, but the region has a clear need for more health infrastructure. Huntley currently has a large senior population, plus enough young people moving in that the birth rate in McHenry County is expected to climb 9% over the next decade. 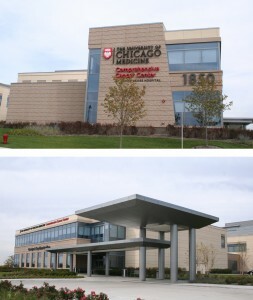 Although the Huntley facility will be relatively small, Centegra plans to supplement its capacity with preventative care services and to partner with existing academic medical centers in Chicago. By networking with other systems, Centegra will be able to effectively expand the services available to patients in the region without exposing itself to undue financial risk by building a larger, stand-alone facility. Many small health systems in the Chicago area have adopted a similar strategy, using networks of partnerships to increase services and brand recognition while maintaining their independence. In order to staff the new hospital as well as a series of planned new immediate care centers, Centegra plans to hire 30 to 40 new physicians, a significant increase over their current 170. The Health system considers itself well-able to handle the costs of growth, given the need for more healthcare in the area and the system’s existing out-patient facilities in Huntley that can effectively serve as customer outreach for the new hospital. As appeared in the PCI Precast Concrete “Spotlight” June 2014. Northwestern Memorial HealthCare’s new Outpatient Care Pavilion will be a state-of-the-art medical facility that responds to the growing need for quality healthcare in the Streeterville neighborhood of Chicago, and ensures that residents will have ongoing access to the best of medicine in their own neighborhood. The thought behind the design of this 25-story structure responds to quality of life issues that are top of mind for residents of one of the city’s fastest growing communities. Sustainable operations are a part of the building’s green design according to national LEED (Leadership in Energy and Environmental Design) standards. 14 floors of medical space, 2 floors of public and retail space, 2 floors of mechanical space, 7 floors of enclosed parking, 600,000 rentable square feet of outpatient services, medical office and retail areas and a 575-space enclosed parking garage with off-street drive-through drop-off and pick-up. Lombard Architectural Precast Products Company provided 388 precast panels at 54,600 s.f., column covers with a limestone look and 34,500 s.f. of insulated sandwich wall panels. There is a limestone tablet feature on the north elevation of the building which includes 20 panels for a total of 5,400 s.f. of variegated limestone and 2 three sided limestone pieces. This major project consisted of 1,724 separate panels produced at LAPPCO’s facilities in Alsip, IL. Due to the volume and repetition of precast panels, LAPPCO chose to use steel production molds for the majority of the panels. Approximately 75% of the panels were cast using 10 special steel molds, with the balance of the panels cast in conventional wood molds. The steel mold technology will greatly expedite the production process resulting in considerable savings for the hospital. Erection of panels for Children’s Memorial Hospital will begin with ground cranes on the building’s lower tower, while the structural steel erector continues construction of the upper tower using two tower cranes. The three-color, acid-etched precast panels form a grid when using the spandrel beam and column cover-type approach. This grid forms the buildings window openings, a cost-saving feature. 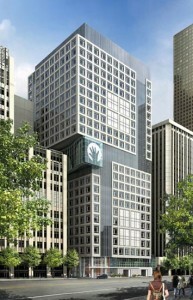 The new hospital is located at 225 E. Chicago Avenue in the Streeterville community. 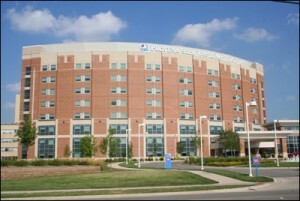 The hospital is 1.25 million square feet, a significant increase over the old hospital’s 699,000 square feet. It has a capacity of 313 beds verses the 200 beds that were in use. Each room will is estimated 290 square feet, more than doubling the old semi-private room size. Children’s Memorial was founded in 1882 by Julia Foster Porter in an eight-room cottage near the site of the present hospital, in memory of her 13-year-old son, Maurice, who died of acute rheumatism. It was the first hospital in Chicago dedicated solely to the care of children. The hospital is named Ann & Robert H. Lurie Children’s Hospital of Chicago in honor of Ann Lurie and in recognition of her $100 million donation. LAPPCO is honored to be part of the growth of Children’s Memorial Hospital and the way in which it will advance pediatric care. This precast project was certainly a test of the skill of LAPPCO’s mixologist. 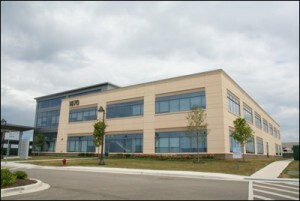 The building utilized genuine, field installed, granite sections. The challenge was to match the exposed granite aggregate precast panels to exactly match the genuine granite stone. It took several test batches until the exact match was achieved. Another example of the versatility of concrete precast panels. 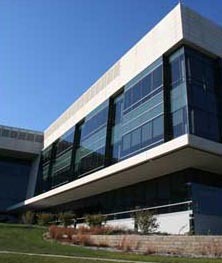 This major project incorporated several precast panel applications. One of the most interesting uses of precast was acid-etched “grillage shaped”(looks like the front grill of a car) prestressed panels at the roof used to hide the extensive mechanical equipment. 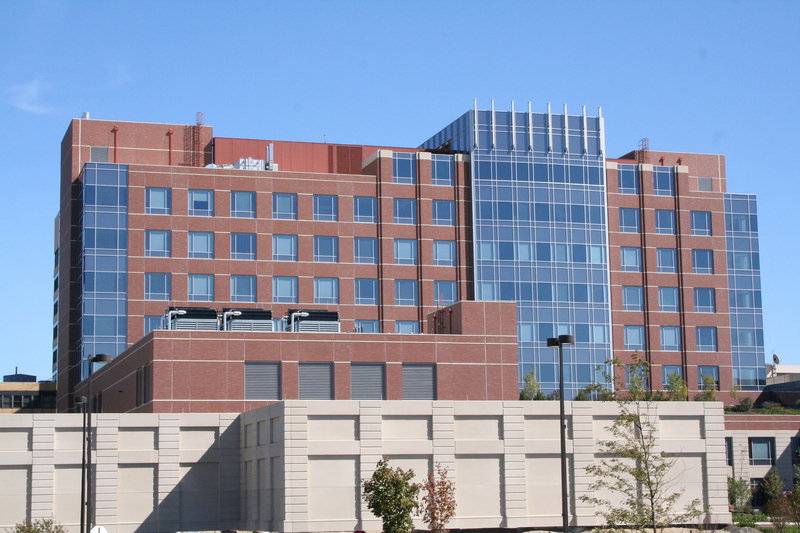 This cancer center is a partnership between Clarian Health and Indiana University school of medicine. This $5 million precast contract was for over 900 panels. This 94,000 square foot building is a combination of brick clad panels, limestone clad panels and exposed acid-etched precast concrete panels. The limestone panels were a very unique aspect of this project. Indiana limestone was shipped to LAPPCO and then imbedded into the precast concrete panels. This technique so closely matched on site limestone construction it is nearly impossible to see the difference. The difference is the precast panels saved considerable time and expense. It was Lombard Architectural Precast Products experience and competitive bidding which resulted in their being awarded this major contract. 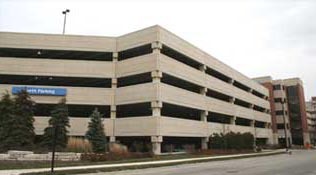 This massive five story parking structure was completed in record time. The project incorporated architectural load bearing spandrels and columns with acid-etched and sandblasted finishes. The erection was coordinated with a structural producer who supplied the double tees and stair towers. The new bed tower structure called for brick clad panels to exacting specifications. LAPPCO also met the challenge of a very escalated construction schedule. Delta Dental selected LAPPCO based on their reputation. 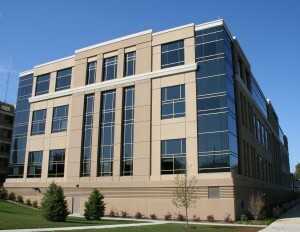 The building required many precast panel finishes. Here LAPPCO had to produce two interesting finishes. One a faux granite finish, which is considerably less expensive than real granite while achieving the granite look. The other at the base of the building, a unique river pebble finish. This new bed tower replaces the old building adjacent to this building. LAPPCO was selected based on their extensive medical experience and capacity to produce over 600 panels with three brick clad finishes on a very tight schedule. This project is a great example of recent contract awards by clients who appreciate LAPPCO’s quality and price advantage. The building is 19,000 sq. ft. consisting of 165 panels. 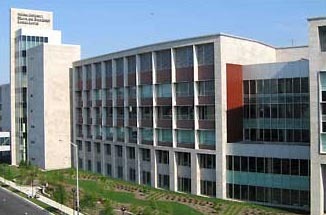 Riverside is a major medical facility for Kankakee County. The project required three different color mixes that needed to be formulated to very exacting specifications. The work was completed ahead of schedule to the complete satisfaction of the client. LAPPCO’s extensive experience in the medical area was one of the reasons they were awarded the bid for this project. 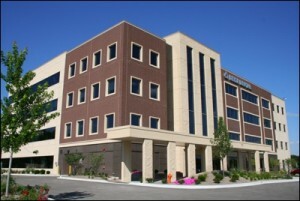 The previous year they completed the medical office building just north of this structure on Silver Cross Hospital Campus. This attractive building required several different precast finishes. These included rock face and a variety of colors for the acid etched panels. The building is 15,700 sq. ft. and consisted of 76 precasdft panels. The project was completed on time and on budget.